A full grown treasure troll, that collects a different kind of magic. Grandpa, no!!!! what would granny said?? Hopefully this ridiculous costume will hide the fact that I have two belly buttons! 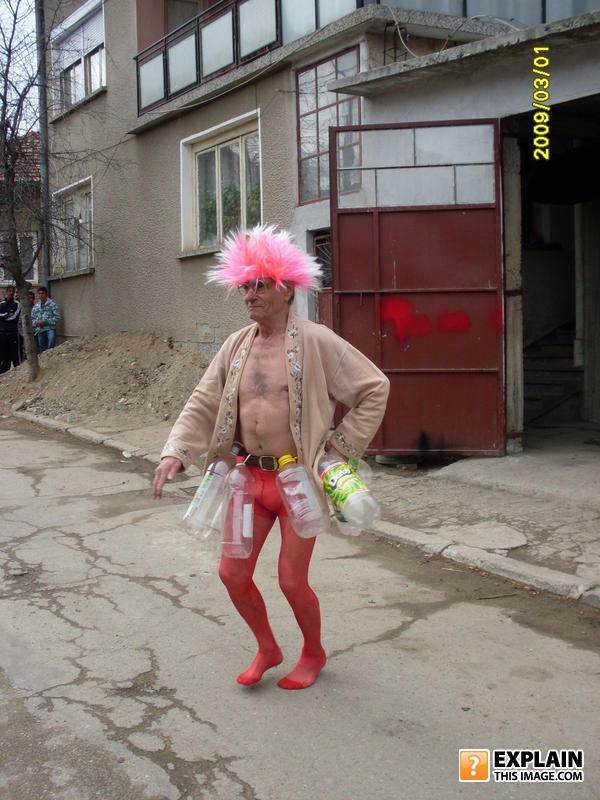 "So they told me to dress Appropriately for the Party at the Pink Flamingo Club. And, they said to Bring my own Bottles." Gonna cash these bottles in a get me some heels.